One – get a microdermabrasion treatment to increase cell turnover, slough off old cells, and clean out pores. Two – renew your commitment to really using your good products morning and night if you’ve fallen off the wagon. And three – take stock of where your skin is. If it’s good, maybe just a plan for maintenance. If you need to do some repair work, take the next month and get a good 1-2 year plan together. 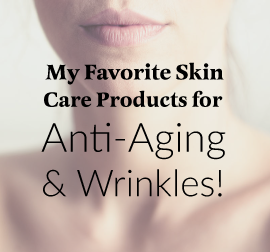 It’s never too late to improve your skin health and beauty!